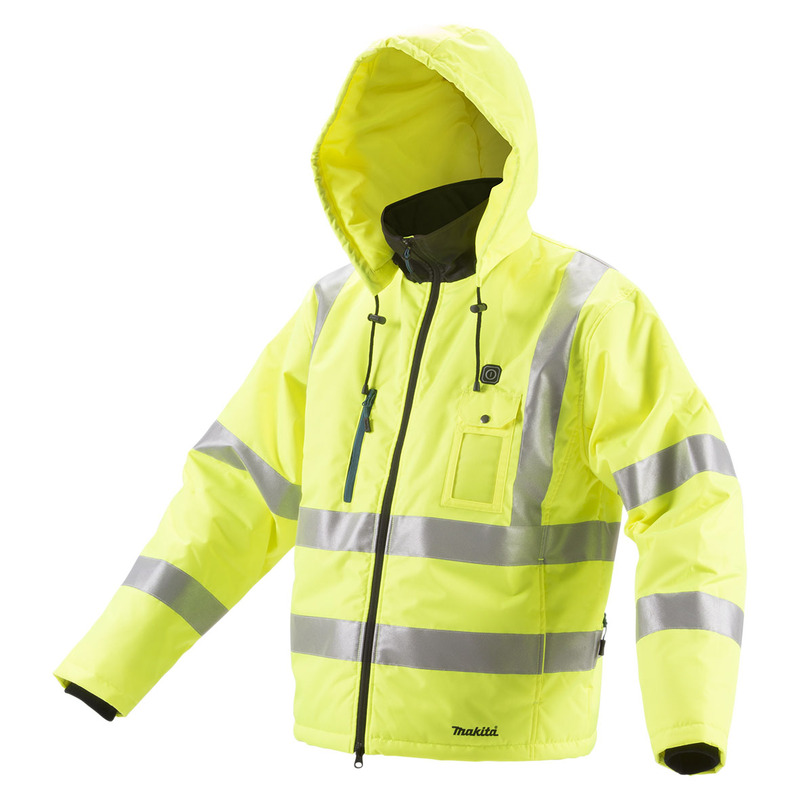 Makita UK has added high visibility, heated jackets to its range of workwear for the trades. Powered by Makita’s Lithium-Ion batteries, which many site tradesmen will already own with their power tools, the DCJ206Z LXT Jacket, compatible with 14.4V and 18V LXT batteries only, will run in Hi, Medium and Lo heat settings providing up to 35 continuous hours of comfort when powered by a Makita 18V 6.0Ah Lithium-Ion battery. The jacket features five heat zones, two on the chest and three in the back, which are controlled by an on/off selector with LED indicator conveniently positioned on the chest. An external transparent chest pocket perfectly protects essential ID cards from the elements.